With The Walking Dead returning to television this past Sunday, readers who can't seem to get enough zombies may be interested in checking out the "Ex-Heroes" series by Peter Clines. 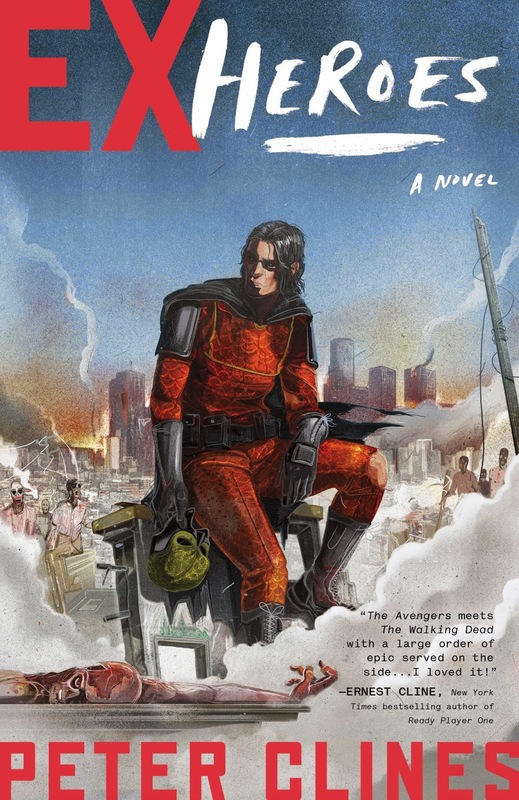 As it happens, the blurb on the front cover comes from our blog's last featured author, Ernest Cline: "I loved this pop culture-infused tale of shamed superheroes struggling to survive a zombie apocalypse in the ruins of Hollywood. It's The Avengers meets The Walking Dead with a large order of epic served on the side." Imagine a world very much like ours, with one major exception: some ordinary humans have suddenly found themselves in possession of extraordinary talents and abilities. Take The Mighty Dragon, for example, once an average handyman named George...who is now seemingly indestructible, super strong, and able to breathe fire. And The Dragon isn't alone, for countless have dedicated themselves to using their new "gifts" for the good of all. Cerberus, for example, is this universe's answer to Iron Man (a regular, "powerless" human who makes a difference thanks to a combination of her brain and a state of the art battle suit). If this sounds like every other super-hero tale you've read in the past, keep your cape on. Because neither the human race nor the newly-arrived super-humans are prepared for a sudden plague that devastates the entire planet. Billions of lives are lost, most of which have reanimated as the living dead, now called "Exes." Our civilization lies in ashes, and our only hope is for the remaining survivors (hero and human alike) to band together and fight to survive. "Ex-Heroes" focuses on The Dragon and his associates, who have carved themselves a home base out of what remains of the City of Angels. Despite their relative successes, many questions remain. Can they really expect to survive in a world where even a bite or scratch from an Ex is enough to turn you into one of them? And what, if anything, exists in the world beyond the city gates? As a huge fan of both zombies and super-heroes, I was very interested to hear of a book that combined the two subjects. Clines is able to combine the two separate worlds into one that works surprisingly well. "Ex-Heroes" contains plenty of action and adventure, all the while managing to perfectly capture the overwhelming sense of isolation and despair. If you've ever wondered how an epic battle between Superman, Iron Man and an army of zombies might play out, "Ex-Heroes" is here to show you. To pardon the pun, this is a book that fantasy/horror/science fiction fans can easily sink their teeth into. And while it would be simple to fill a book with zombie gore and call it a day, Clines doesn't stop there. As fans of the genre are aware, post-apocalyptic scenarios take a mental and emotional toll on survivors in addition to the physical threats they face on a daily basis. A band of humans has enough trouble fighting for survival while managing to govern themselves. What kinds of ethical conflicts and power struggles may emerge when these humans are mixed in with a group of superheroes? The Marvel Comics character Spider-Man introduced many readers to the concept of "With great power comes great responsibility", and nowhere is that more apparent then when faced with the seemingly impossible task of rebuilding humanity from scratch. And, while superpowers may seem like a dream come true to many, it is also important to consider the potential drawbacks. What if your powers came at a heavy cost? What would you be willing to surrender in exchange for the power to save lives? Readers are forced to wonder how they would act in such a scenario, as unlikely as it may seem. 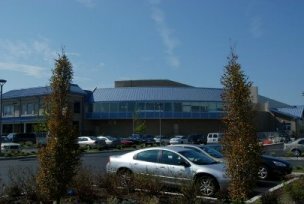 The Ocean City Library has a copy of "Ex-Heroes" waiting for you to pick up and explore. If you enjoy it and want to read more about The Mighty Dragon and his friends, the series continues with "Ex-Patriots", "Ex-Communication" and, most recently, "Ex-Purgatory." Pack your bags, check your supplies and enter a world where super-heroes and zombies go hand-in-rotting hand. If it's too much for you, take a break and remind yourself that this could never happen in real life.....or could it? More information about Peter Clines may be found on the author's Facebook page.